When paying for your order online, know that we offer you secure payment options using Stripe, the Intuit PaymentNetwork, PayPal,Authorize.net. Place your order online using our online shopping cart. Choose Stripe, Authorize.net, Intuit PaymentNetwork or PayPal as your payment option. Tell us in the order instructions box, your payment preference. Follow the directions for payment. Once we receive your payment, we will finish processing and ship your order. Orders will not ship until payment has cleared. Pay Your Bill From Your Phone! You can now pay Carnright Design Inc. on your browser or phone! 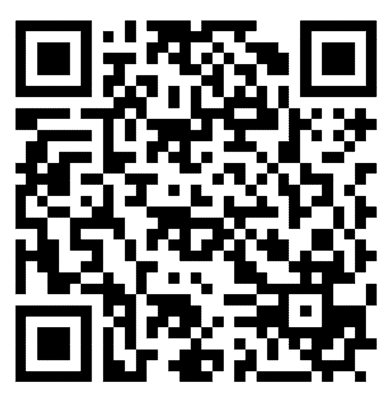 Use your QR code reader to directly access Carnright Design Inc.'s payment page on your phone or by visiting https://ipn.intuit.com/pay/CarnrightDesignInc on your browser. Save time by paying Carnright Design Inc. DBA Sparklers in-CyberSPACE invoices online. Intuit PaymentNetwork, a service by the makers of TurboTax, QuickBooks and Quicken, lets you pay invoices directly from your bank account. It is the protected way to pay—plus it is fast and FREE for you to use. Save time. Pay invoices instantly with a few simple clicks. Spend less. Free to use—save money on stamps and envelopes. Simple set up. Enter your payment information once for protected bank-to-bank transfers every time. Peace of mind. Receive an instant email confirmation when you make a payment. Plus, schedule and track payments anytime. Here is how Intuit PaymentNetwork works: When you receive an invoice via email you will have the option to pay instantly by clicking a “pay invoice online” link. Once you are logged in to the Intuit network, you can enter your banking information and the amount you’d like to pay. Your banking information is protected by Intuit, so you can rest assured that it will never be shared with anyone. To learn more about making payments online, visit https://ipn.intuit.com/qb/payorLearnMore.